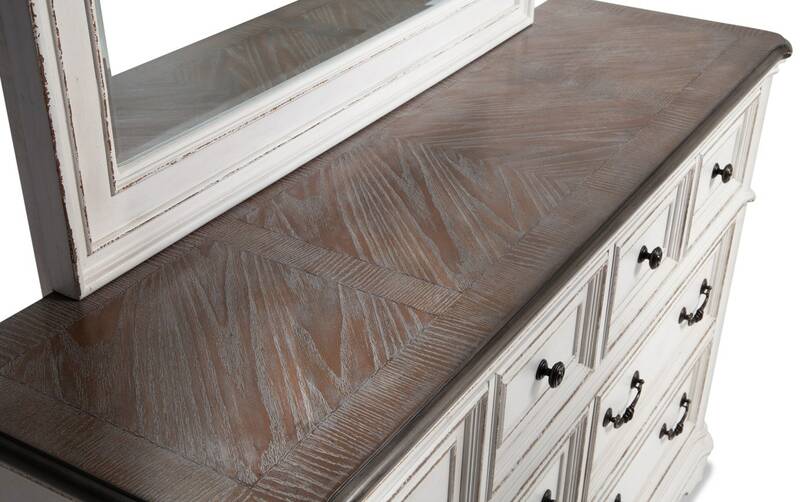 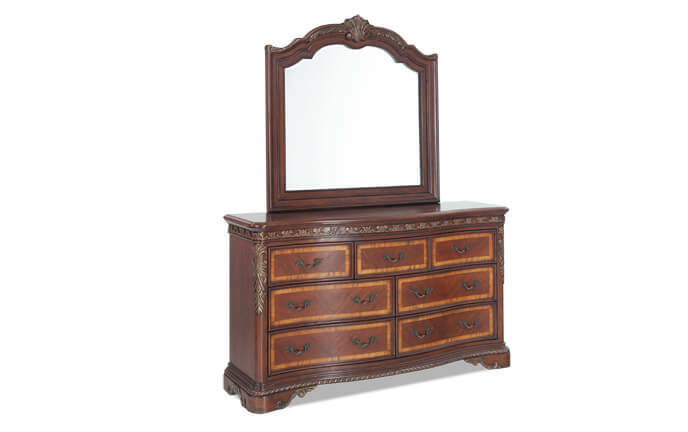 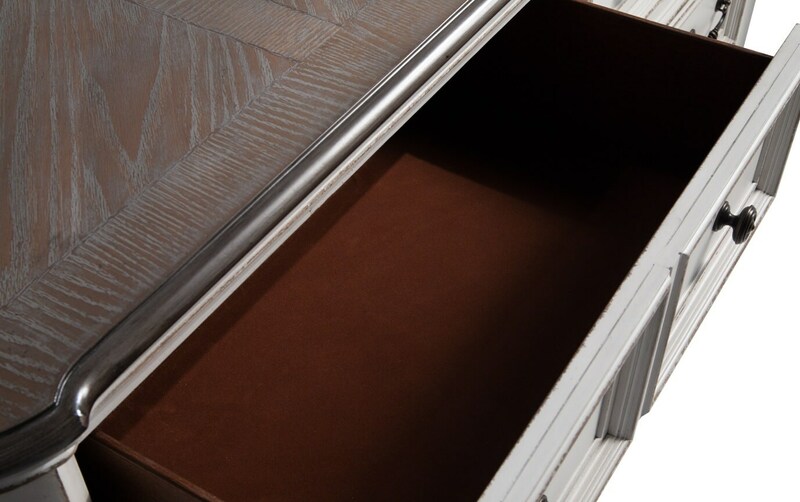 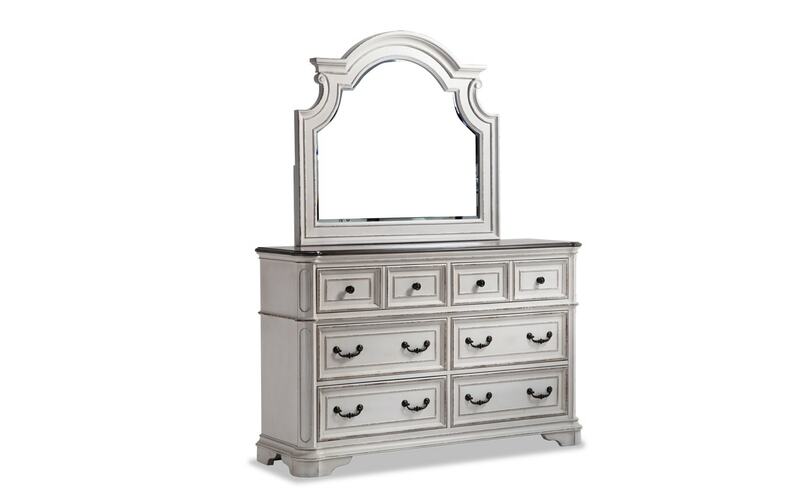 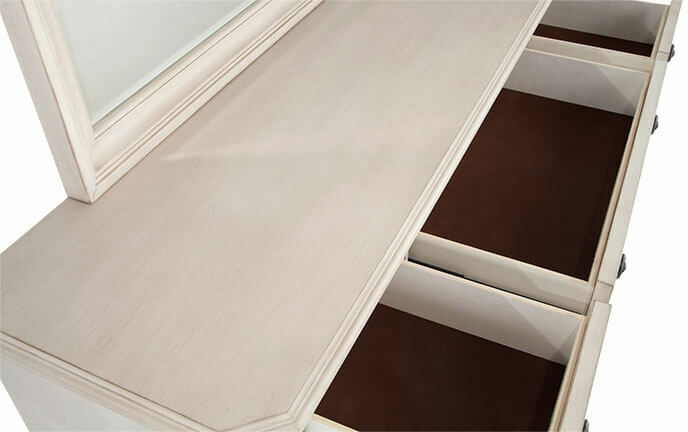 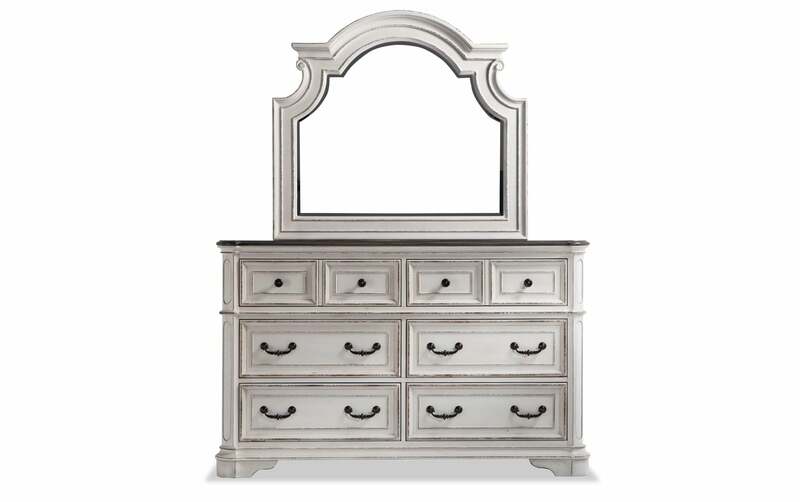 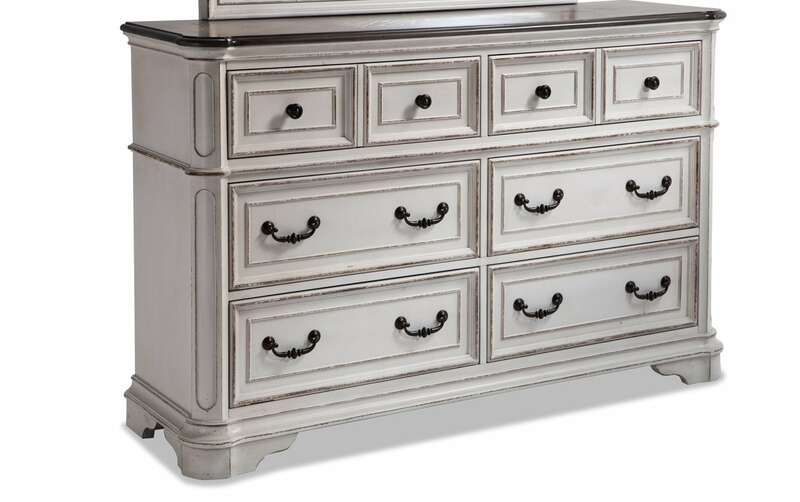 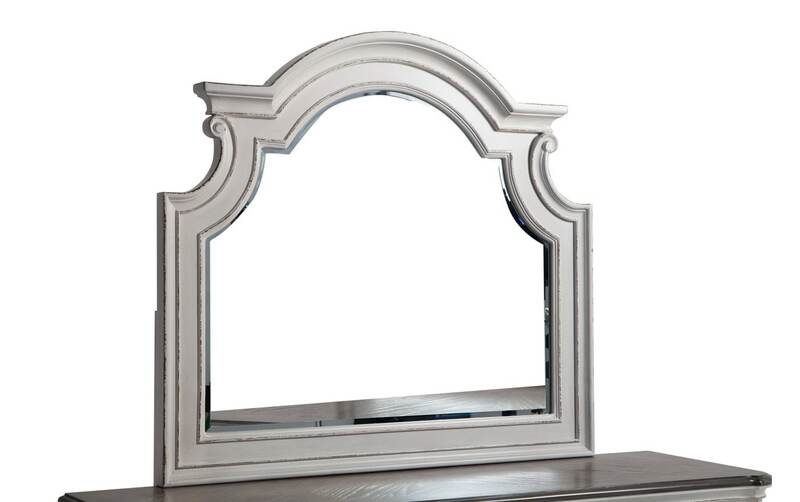 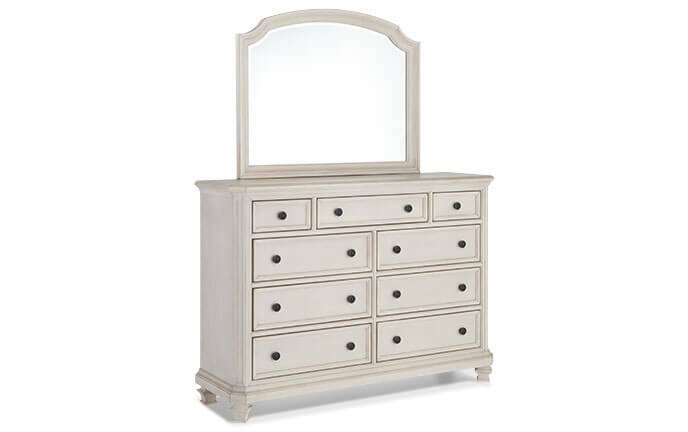 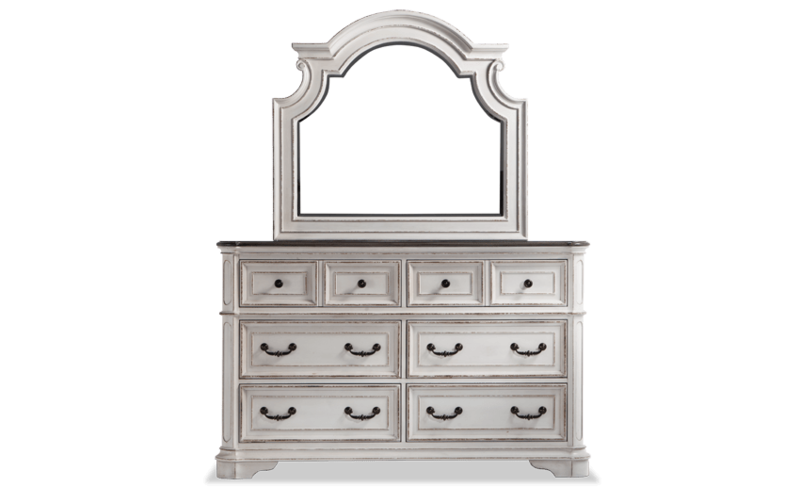 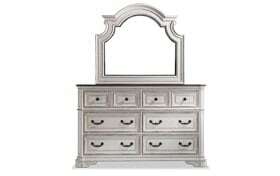 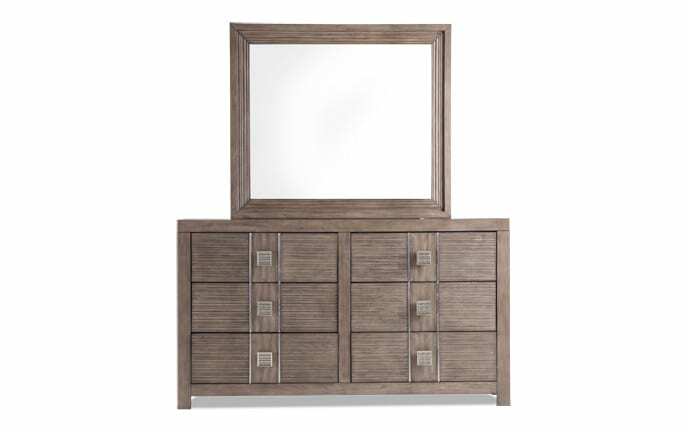 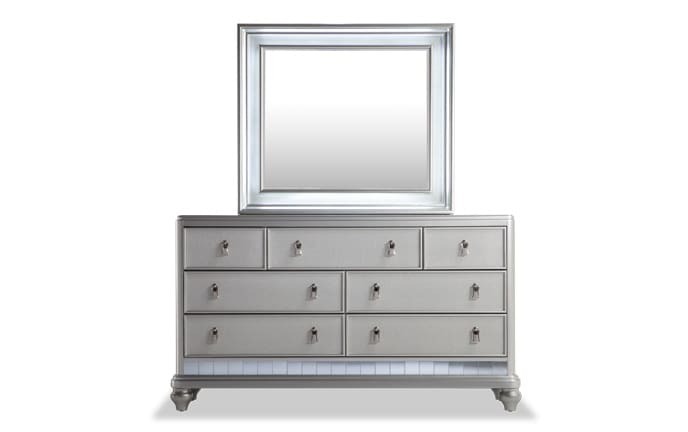 My Scarlett Dresser & Mirror lets you store your clothes in style and enjoy added quality and convenience with felt lined top drawers and cedar bottom drawers. 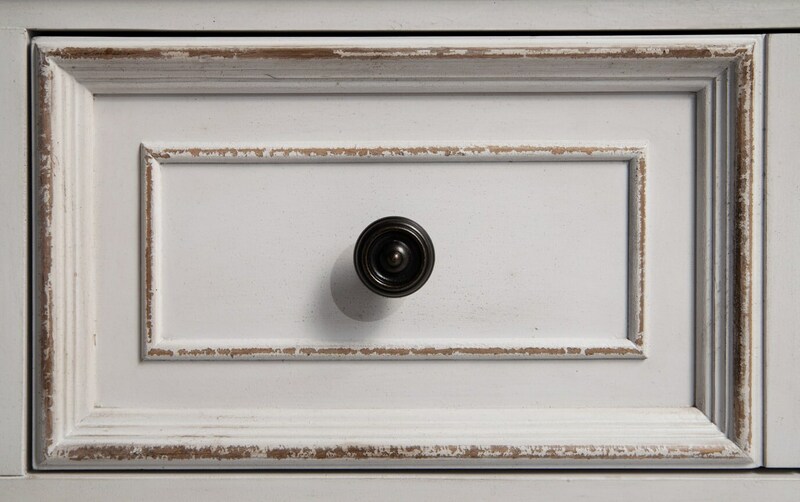 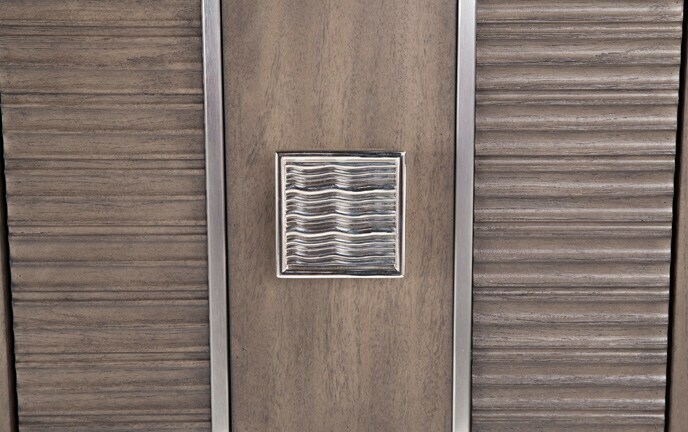 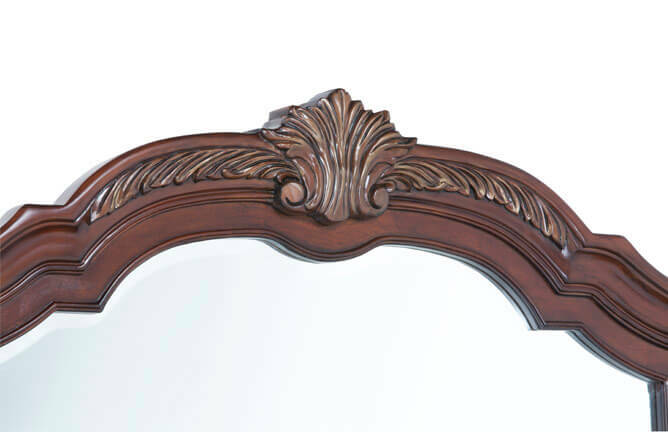 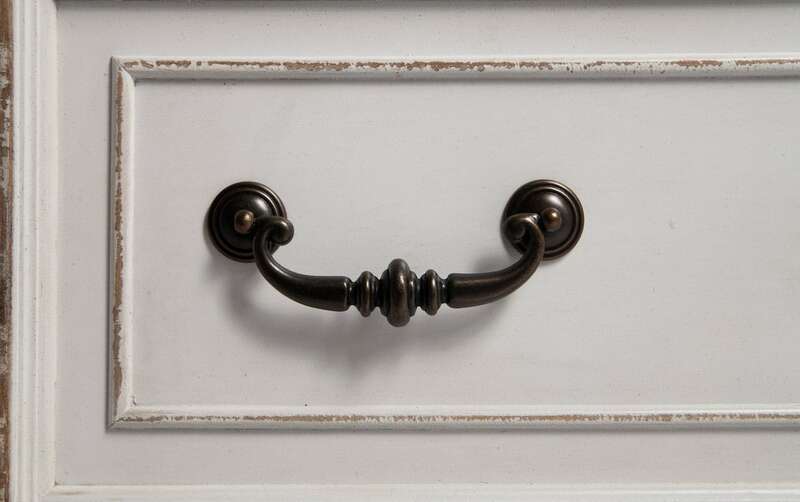 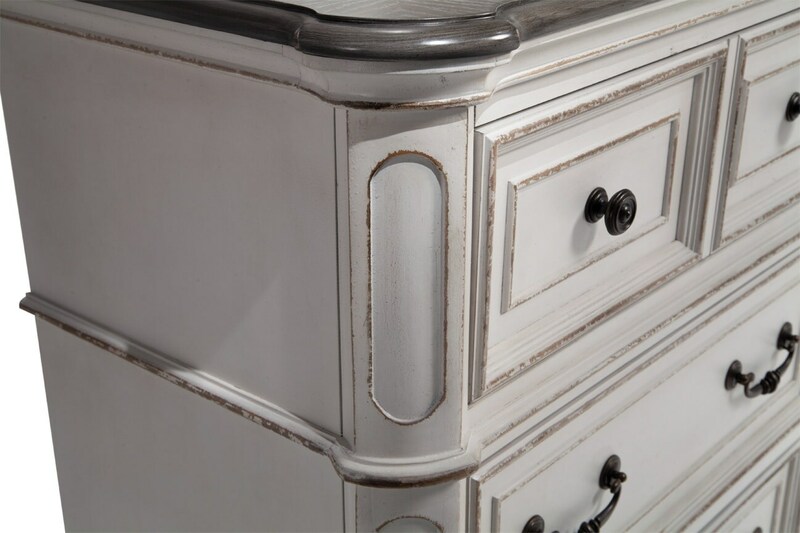 The antique brass hardware pairs perfectly with the white and oak finish and enhances the cottage design. 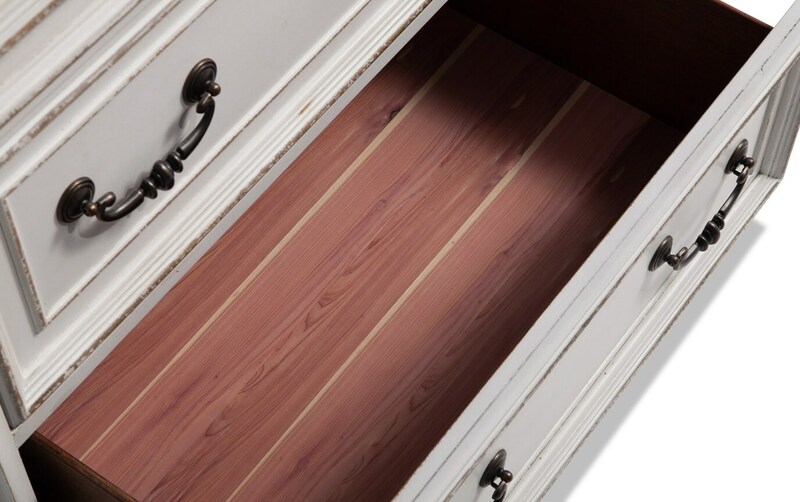 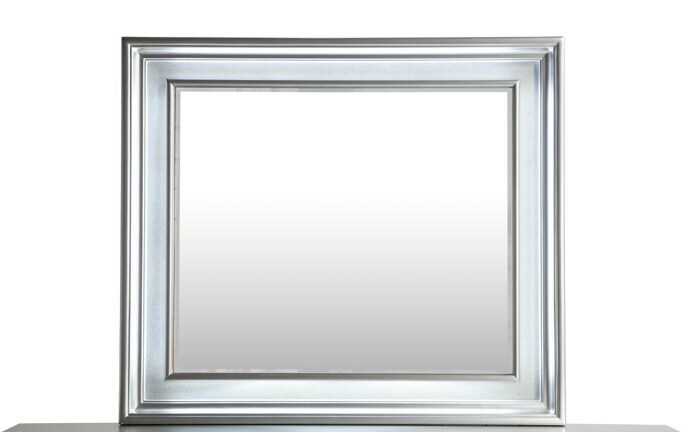 The pleasant and soothing aroma of the cedar lining helps to neutralize the stale air and keep your drawers and belongings fresh.